The details of the 15 weekly trainings on Saturdays are below. This is excellent training and highly recommended. Please note the new location at the Court One facility in Haslett. This is a gym floor so flat soled shoes should be worn. We have to limit this to only 30 players each session so register early! Deadline: Dec 1 or until full. 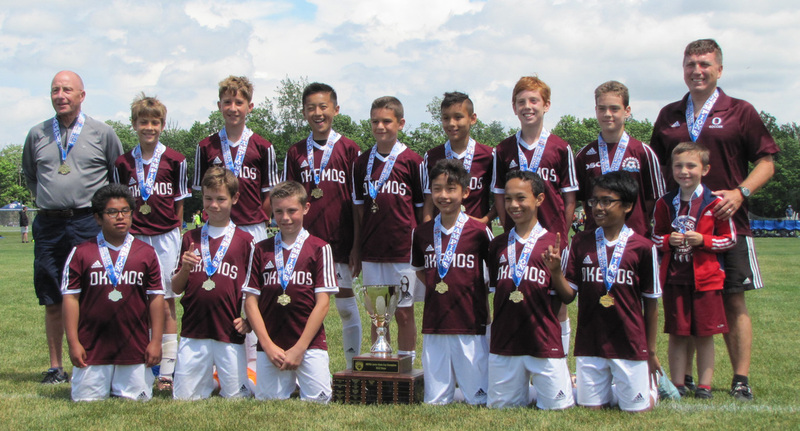 A first half header goal by Andrew Kim off a corner from Aidan Antcliff held up as Okemos Soccer Club's boys beat SWM Kickers (Southwest Michigan) to win the 2016 U12 state championship. It was a total team effort and a deserved victory. Stellar goalkeeping by Dray Chase and a rock solid defense led by John Moore, Will Swihart, George Meng and Issac Freidoff secured the shutout. Tough ball winning and precision passing by midfielders Owen Brewer, Aidan Antcliff, Ben Hussey, Andrew Kim, Kaivalya Kulkarni and Ryan Wilkinson allowed Okemos to control possession. Tireless work and unselfish play by forwards Ruben Gonzalez and Ederick Plantegenest kept the SWM defense under pressure the entire game. 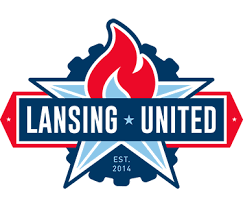 With the win, Okemos becomes only the third team from the Lansing area to win a State Cup or Jr State Cup championship and the first community based team- since all players are from Okemos- to accomplish the feat. The Okemos Soccer Club will hold a pre-tryout scrimmage night for all 2009 and 2010 birth year players at Wardcliff Elementary (5117 Park Lake Rd East Lansing 48823). This will be a fun night of soccer playing for the kids. Please wear shin guards and bring water and a ball. The OSC coaches will be on hand to answer any questions about OSC, tryouts, etc. Tryouts for the Fall 2018 (Sept.1 – Nov. 1 season) and Spring 2019 (April – June 1 season) CASL and WSSL seasons are available on our tryout page. Click here to find out more information about tryouts and the club. Mark your calendars, Michigan State Youth Soccer Association has determined that tryouts for fall 2017 teams must start on or after June 17, 2017. OSC will announce dates, times and locations for specific teams in May. Typically all OSC teams hold a weekend tryout session and a weekday tryout session. That means OSC tryouts will occur between Saturday, June 17 and Thursday, June 22. Tryouts for the Fall 2016 (Sept.1 – Nov. 1) and ﻿Spring 2017﻿ (April – June 1) CASL and WSSL teams were completed Wednesday, June 22. Players are being contacted and teams are being formed. Any Okemos players wearing an Okemos JERSEY will get into the game FREE. Can be Okemos Soccer Club or Eastside jerseys. Adults can save $1 when they use the ﻿coupon code "Okemos" here﻿. As the only partner soccer club in the mid-Michigan area, Okemos Soccer club will train with the proven coaching methodology and training staff of Coerver Coaching Michigan to support both player and coach development. The training will include; tech trainings, coaching clinics, summer camp and first access for OSC players to fantastic winter training programs next year. 2 Day Mini Camp...Wednesday 8/13, Thursday 8/14. Technical Training with the Spartans! The three Spring Technical Trainings are scheduled for Monday April 22, Tuesday April 30 and Monday May 20. U13-14 teams 5:30-6:30, U9-U10 6:30-7:30, U11-U12 7:30-8:30. The Technical Trainings are all held at the Old Varsity fields at Chippewa Middle School. There will be no individual team practices on these dates as each team and coach is expected to participate. The three Spring Technical Trainings are scheduled for Tuesday September 17, Tuesday September 24 and Tuesday October 1st. Members of Michigan State's men's soccer team will run the September 17th Tech Training! Make sure to bring something for them to autograph (and a marker). OSC is growing! We went from 9 teams in the spring to 15 teams registering for fall. Teams are in the process of collecting paperwork and registering players. Have a great summer and we'll see you on the fields in August!